The perfect shrimp. — simeon hall jr.
Over the years, I've been known to put this item on almost every menu I've created. Even though shrimp are not native to The Bahamas, the dish is reminiscent to the occasional treat my Grandmother prepared. And so many people love shrimp. Hint- gentlemen this is a must go to recipe foe a date. 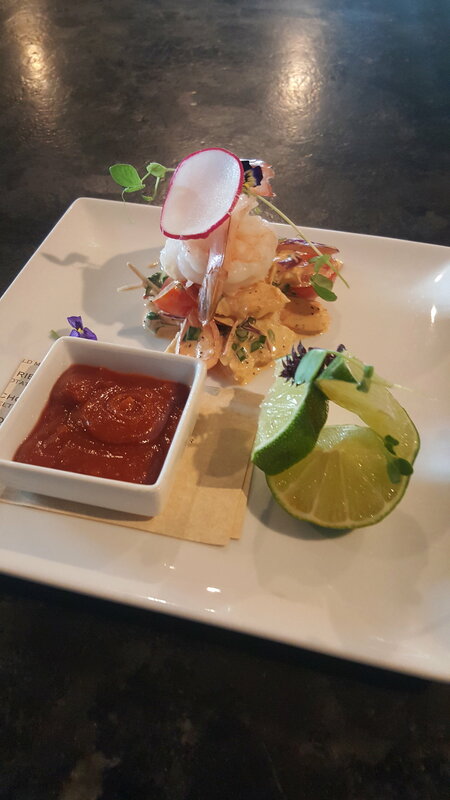 Here we combine traditional poached shrimp with a spicy shrimp salad and my amazing Fisherman's Wharf inspired cocktail sauce. My latest version of the dish. Yes these measurements are correct. Yes it's going to have a lot of kick and yes it's tastes amazing! To make, mix the mayonnaise until smooth. ( This way you will have no lumps) . Then mix everything else together and refrigerate. Okay so the fun and easy part is done. Now we have to get a little more technical. We are about to make what is called a court bouillon. Fanciness aside, it's simply a seasoned liquid used to cook seafood. (Most recipe say leeks, but they are too expensive and carrots, but the carotene can stain the seafood). Bring everything to a medium simmer in a pot. Gather an ice bath; which is equal ice and water to cool the shrimp immediately. Add the shrimp to the boil for about 4 to 6 minutes. (I use shell on 13/15 shrimp for this dish.) Shock the shrimp in the ice bath to stop all cooking then peel and clean the shrimp. To assemble chop 2 shrimp into bite size pieces. Mix in a few spoons of spicy sauce and you may add if you wish sliced red onions and dice tomatoes. I DON'T! 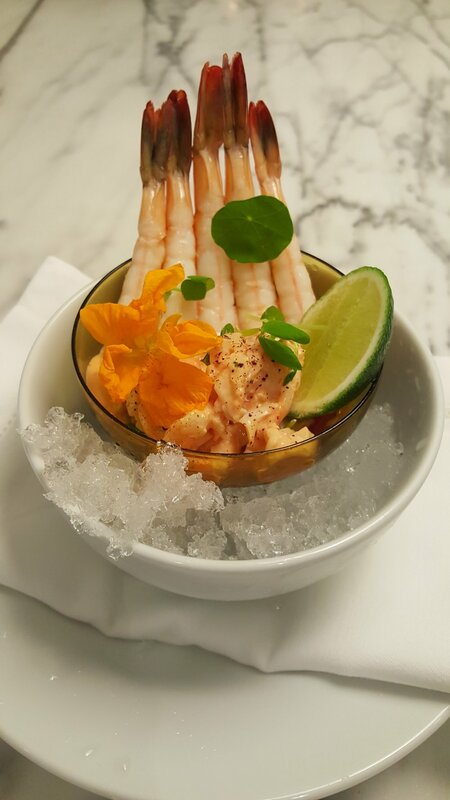 Serve on ice with a few chilled poached shrimp, slice of lime and some cocktail sauce.